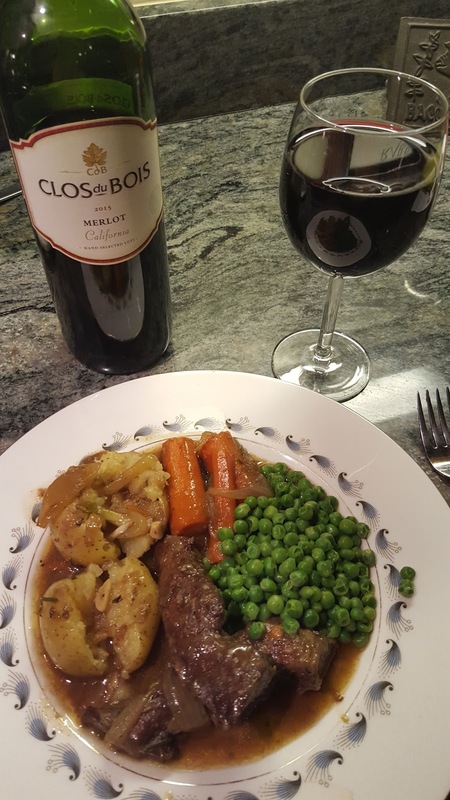 In honor of Valentine's Day I thought I would share the Braised Heart I made the other night. 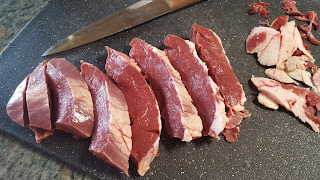 I had never eaten beef heart, so also have never cooked it, but I treated it as you would any other tough cut of meat by slowly braising in rich, wonderful flavors. And it turned out to be delicious! * The average beef heart weighs 3 to 4 lbs. * I happened to have some very rich beef stock left over from beef ribs I had made awhile back, but store-bought beef stock would work, too. Having stock of all types made and tucked away in the freezer gives me a great feeling of comfort and security. First you must thoroughly clean the heart. I clean all meat before cooking, but with organ meat it is particularly important. Rinse the heart under cold water and pat dry. Remove all visible silver skin. 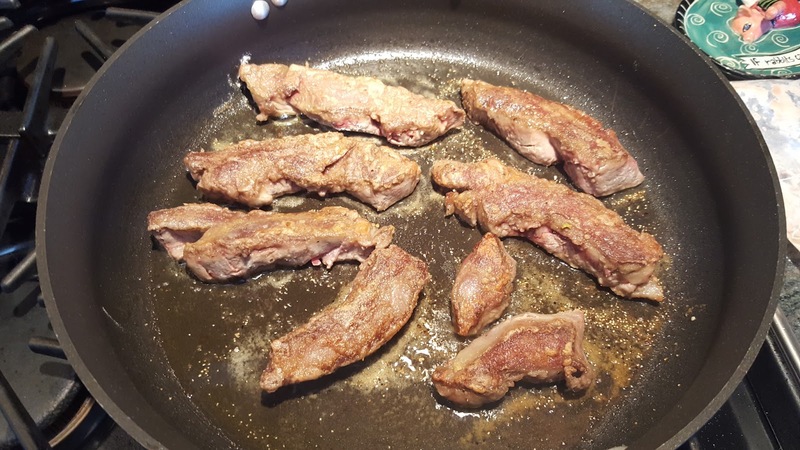 And then remove anything that doesn't look like meat. There's lots of stuff in there that comes out pretty easily using a pulling/cutting technique. 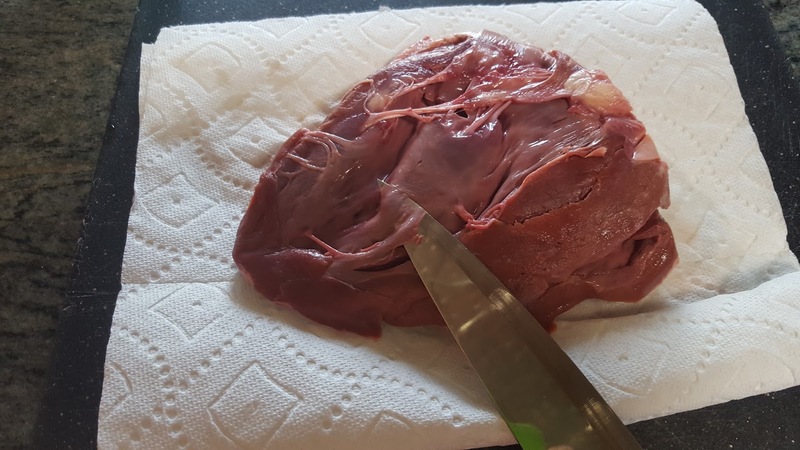 Next, cut the heart into 1" thick slices and remove some of the thick outer fat. Liberally salt and pepper the heart slices and dredge in 1/2 cup flour. 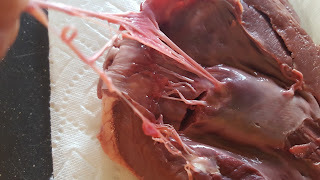 Add the flour to a zip lock bag and drop the heart into the bag. This is an easy way to coat all sides of the heart with the flour. Heat 4 Tbsp. Olive Oil in a skillet over high heat and quickly brown the heart slices on all sides. Add the potatoes, carrots, onion, garlic. Reduce heat to medium high. Cook the veg for about 5 minutes stirring occasionally to coat with pan juices and scrape up any brown bits from the bottom of the pan. 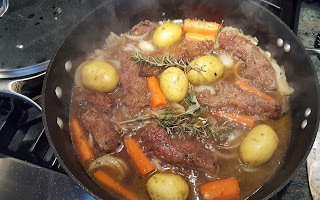 Add Beef Stock, red wine, bay leaf and fresh rosemary. Reduce heat to a simmer. Cover and cook for 1 1/2 to 2 hours. 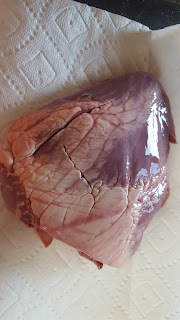 The heart is very lean so, although not tough, it has a thick almost chewy consistency, but the flavor was out of this world! 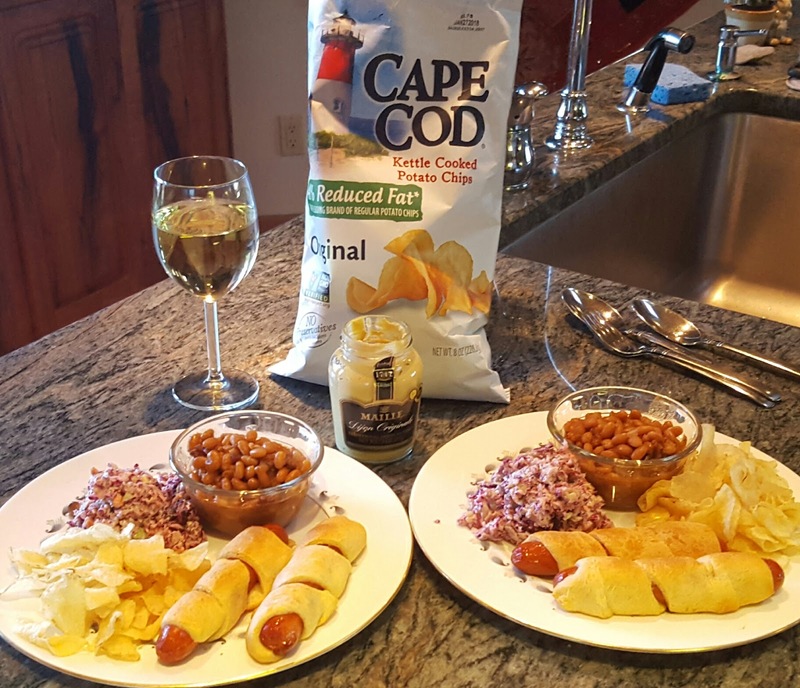 I wouldn't cook this weekly, but what a wonderful treat once in awhile. Until next time...Keep on Keeping On in the Kitchen! 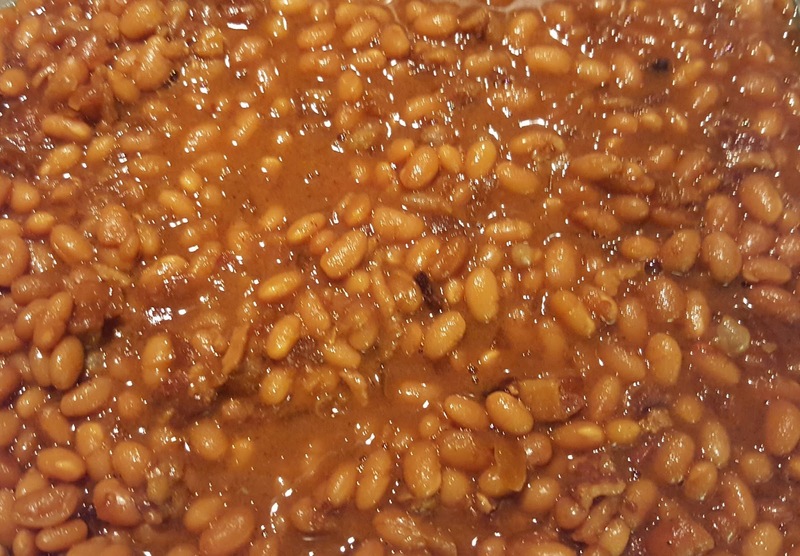 BEST EVER BOSTON BAKED BEANS! Soak beans overnight in water with at least 2 inches of water above the beans as they will absorb lots of water. Next day drain beans. Mix molasses, brown sugar, mustard, ground cloves with 3 cups of hot water. Line the bottom of your slow cooker (aka Crock Pot) with half of the bacon pieces. Add half of the beans. Add all of the diced onion. 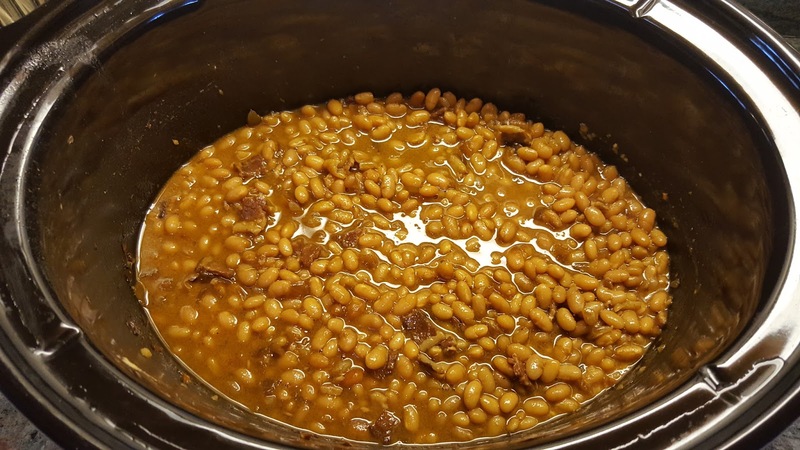 Top with the rest of the beans and remaining bacon. Pour the molasses water mixture over the beans to just cover the beans. Cover and cook on low setting for 8 hours until the beans are tender. Check the water level in a few hours to make sure beans remain covered. My beans did not dry out and the 3 cups of water was the perfect amount to make nice juicy and tender beans! I served the Boston Baked Beans with Pigs in Blankets, Coleslaw and Cape Cod Potato Chips!